We can help organizations in achieving ISO 22000 food safety certification, HACCP food safety certification, for organizations in gujarat located at Rajkot, Mahuva, Porbandar, Bhavnagar, Jamnagar, Palanpur, Siddhpur, Mehsana, Kadi, Kalol, Gandhidham, and in other cities of Gujarat and in India. We can help organizations in achieving HACCP ISO 22000 certification from various certification agencies like TUV, BVQI, intertek, SGS, etc. and other HACCP certification agencies ISO 22000 certification agencies accredited with NABCB UKAS JAS ANZ DAC ANAB ASCB RVA TURKAK etc. Organizations looking for HACCP certification ISO 22000 certification in rajkot, HACCP certification ISO 22000 certification in palanpur, HACCP certification ISO 22000 certification in siddhpur, HACCP certification ISO 22000 certification in Mehsana, HACCP certification ISO 22000 certification in porbandar, HACCP certification ISO 22000 certification in Bhavnagar, HACCP certification ISO 22000 certification in Jamnagar may contact us. We will be pleased to provide our services for same. Ocean Management Services is a leading HACCP certification consultants, HACCP certification providers, HACCP ISO 22000 certification consulting agency, HACCP ISO 22000 registration provider agency, HACCP ISO 22000 certificate guideline provider agency located at Ahmedabad in Gujarat India. HACCP / ISO 22000 are food safety management focus upon identifying, eliminating-controlling-minizing physical, chemical and biological hazards by applying appropriate operational controls in the premises where food products are being handled. We can help organization located at ahmedabad, vadodara, surat, ankleshwar, bharuch, vapi, valsad, anand, vidhyanagar, nadiad, gandhidham kutch, gandhiinagar, junagadh, rajkot, mehsana, kadi, kalol, palanpur, siddhpur, surendranagar and in other states of Gujarat and in india in getting HACCP certification, ISO 22000 certification. HACCP certification process in Gujarat India. HACCP certification procedure in Gujarat India. ISO 22000 - HACCP certification consultants in Gujarat India. ISO 22000 HACCP certification consulting provider agency inIndia Gujarat India. ISO 22000 HACCP registration provider agency in Gujarat India. We can help in achieving ISO 22000 HACCP certifications from various certification agencies like TUV, Burau Veritas BVQI, Intertek, UKAS, NABCB, ASCB, JAs ANZ, DAC etc. Ocean management services is a leading HACCP certification consultants in Gujarat, India, ISO 22000 food certification consultants in Gujarat, India. We can help organizations in achieving HACCP certification, ISO 22000 certification from certification agencies like SGS, TUV, BVQI, UKAS, NABCB etc. Though ISO 22000 covers requirements of HACCP certification, many times organizations have to obtain ISO 22000 and HACCP certification both due to customer requirements or somes times due to statutory requirements. We can help organizations in achieving HACCP food certification, ISO 22000 food certification with complete guidance for HACCP documentation, ISO 22000 documentation, HACCP training, ISO 22000 requirements trainings, Guidance on physical / infrastructural changes for achieving HACCP certification - ISO 22000 certification and coordination with HACCP and ISO 22000 certification agency till certification is achieved. Organizations looking for ISO 22000 certification in ahmedabad gujarat, HACCP certification in ahmedabad gujarat, ISO 22000 certification service providers in ahmedabad gujarat, HACCP certification service providers in ahmedabad gujarat may contact us. We can help organizations in achieving ISO 22000 certification in ahmedabad gujarat india, HACCP certification in ahmedabad gujarat india. We can provide ISO 22000 certification HACCP certification for organizations located at ahmedabad vadodara surat ankleshwar bharuch rajkot jamnagar bhavnagar surendranagar mehsana kadi kalol chhatral and in other cities of gujarat and in india. We can help organizations in achieving ISO 22000 and HACCP certifications from ISO 22000 certification agencies HACCP certifications agencies like TUV india, TUV nord, BVQI, SGS, IRQS, URS, Intertek and other NABCB UKAS JAs ANZ DAC ANAB ASCB etc. 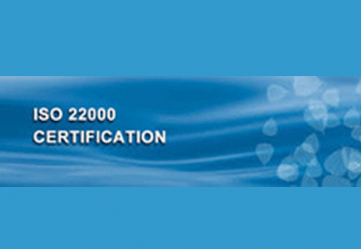 accredited ISO 22000 certification agencies. ISO 22000 stands for food safety management system that includes prevention / elimination of physical, chemical and biological food hazards entering in the food which makes food unsafe for eating. ISO 22000 standard provides systematic guideline for identification of such hazards and implementing operational controls for prevention or elimination of such hazards. We can take projects for consultancy of achieving ISO 22000 food safety management system certification , HACCP certifications and helping organizations in achieving ISO 22000 and HACCP certifications. We are most trusted ISO certificate certification consultancy service providers for ISO 22000 Food safety management system certification in ahmedabad, Gujarat, India. We are providing our ISO 22000 certificate certification registration consultancy services, advisory services, in ahmedabad, vadodara-baroda, surat, ankleshwar, bharuch, nadiad, anand, vidhyanagar, mehsana, kadi, kalol, chhatral, palanpur, rajkot, bhavnagar, Jamnagar, himmatnagar, bavla, gandhinagar, gandhidham, kutch, mundra, surendranagar, junagadh, saurashtra and in other cities of Gujarat and in India. We are one of the leading ISO 22000 HACCP food safety certification, HACCP certificate provider agency, HACCP registration provider agency located at Ahmedabad in Gujarat India. Following will be key processes for HACCP ISO 22000 Food safety certification. 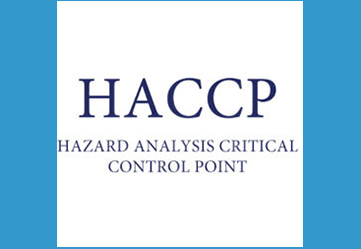 Identify Food hazards and prepare HACCP Plan. Identify Pre requisite plans, document and implement same. Identify key documents and records to be maintained. Identify key requirements of HACCP ISO 22000 certification standards. Perform internal audit of system to ensure that system is complying with HACCP and ISO 22000 requirements. Call HACCP ISO 22000 certification agency for stage 1 audit. Close findings of stage 1 audit. Call HACCP ISO 22000 certification agency for stage 2 audit. Close findings of Stage 2 audit. We can help organizations in achieving HACCP certification registration, ISO 22000 certification registration from various certification agencies like TUV, Bureau Veritas BVQI, SGS, Intertek, and other UKAS, NABCB, JAs ANz, DAC, ASCB... accredited certification agencies. Organizationslooking for HACCP certification, ISO 22000 certification can contact us.